RESIDENTIAL ROOF REPAIR TULSA METRO. The roof of your home is next to the foundation for being the most important and expensive element of your house. Tulsa's harsh, unpredictable weather conditions can leave roof damage from excessive heat, wind, hail, ice, sleet and snow. We are the Tulsa roof repair specialists you can trust. No fly by night company, we live and work in your community. Many companies will travel with crews seasonally and visit our area. They will give you a cheap estimate, take your money and leave you with either a shoddy or unfinished job, without caring about their reputation and leaving you with no recourse except to pay a reputable company to repair the damage left behind. Many times you don't see the results of shoddy workmnaship until they are long gone, with your money. 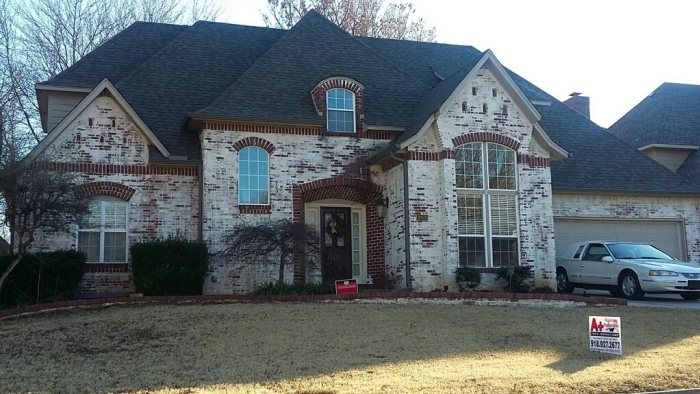 Trust A Plus Roofing for all your Tulsa roof repairs in the Tulsa Metro area. We rely on our stellar reputation and satisfied customers to keep our business open. For roof repair Tulsa OK and the surrounding areas, you can trust A Plus Roofing Solutions for reliable and professional service. Please contact us without delay if you see any missing tiles, damaged tiles, loose tiles, or if you have had a severe weather incident that may have damaged your roof. The quicker roof repairs are taken care of, the better. There will be less chance of damage to the interior of your home and the damage to your roof may cost less to repair if roof repairs are taken care of immediately. Annual inspection of your roof for weather related problems and normal wear and tear will greatly increase your chances of avoiding costly repairs in the future. A Plus Roofing Solutions does roof inspections for water leaks and damage from the elements for the safety and security of your roof and home. 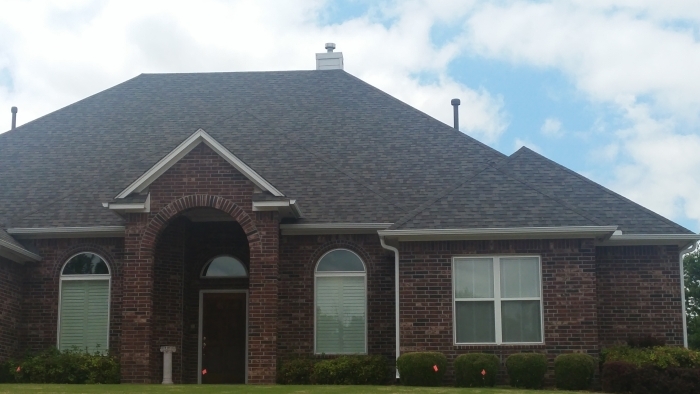 Whether you are looking for a Tulsa area roof repair company to service and repair your existing roof or looking for a roofing company Tulsa Metro to install a new roof, our knowledgeable staff can help you. Call today (918-927-2677) to schedule a residential or commercial roofing evaluation, or CLICK HERE to request a free estimate.